So, you’ve made that all-important first step and decided Yes! It is time we treat ourselves to a new kitchen! Now comes the tough part. Which company do you choose to design and create it for you? You can spend a lot of time researching on the internet and visiting showrooms and still be left unsure. To help you, we have created this handy guide to let you know what makes us, John Lewis of Hungerford, a great choice. Did you know, we are the Original Painted Kitchen Company. That’s right, we did it first. We have been designing and manufacturing painted kitchens since 1972! 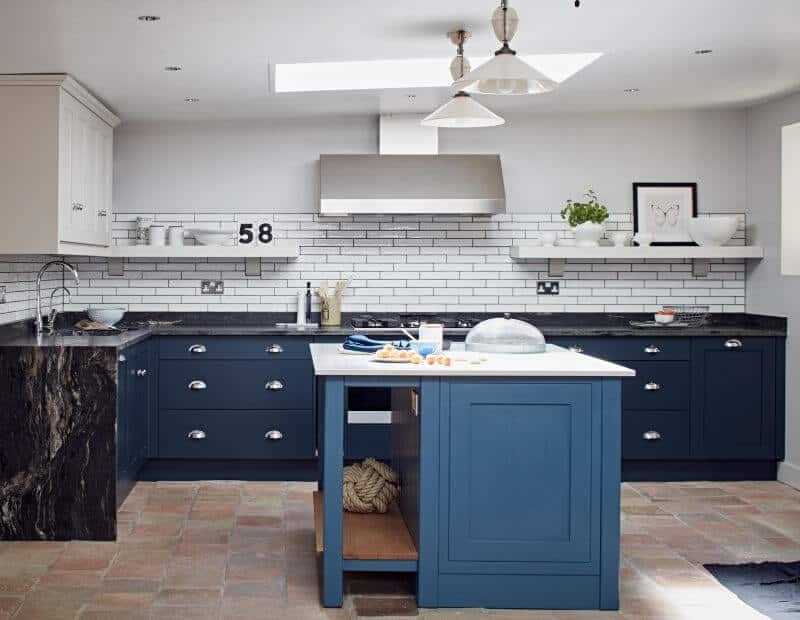 – which means we have some serious experience and knowledge behind us, knowing exactly what it takes to produce and deliver a high quality, bespoke painted kitchen for our clients. Our kitchens are original and easily identifiable. 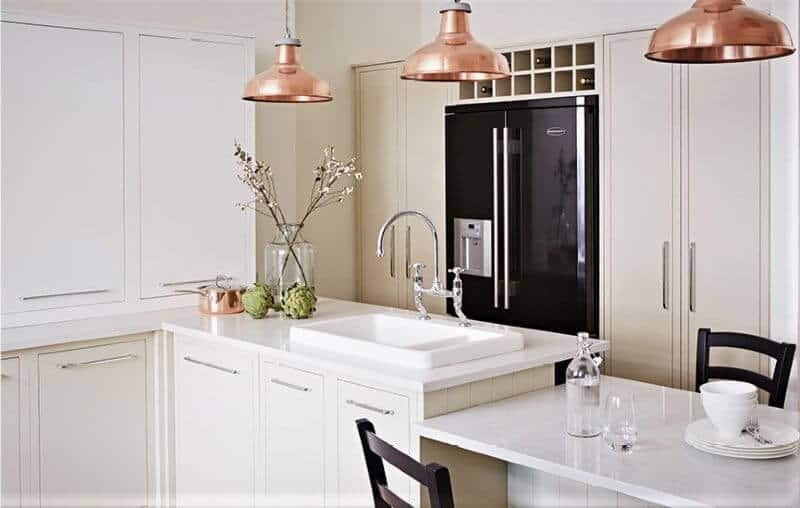 You can always tell a John Lewis of Hungerford kitchen apart from the rest, but when it comes to the detail, rest assured, the one you come away with will be unique to you, designed to work in harmony with your lifestyle and your personal and family needs. It really will be a fabulous addition to your home. 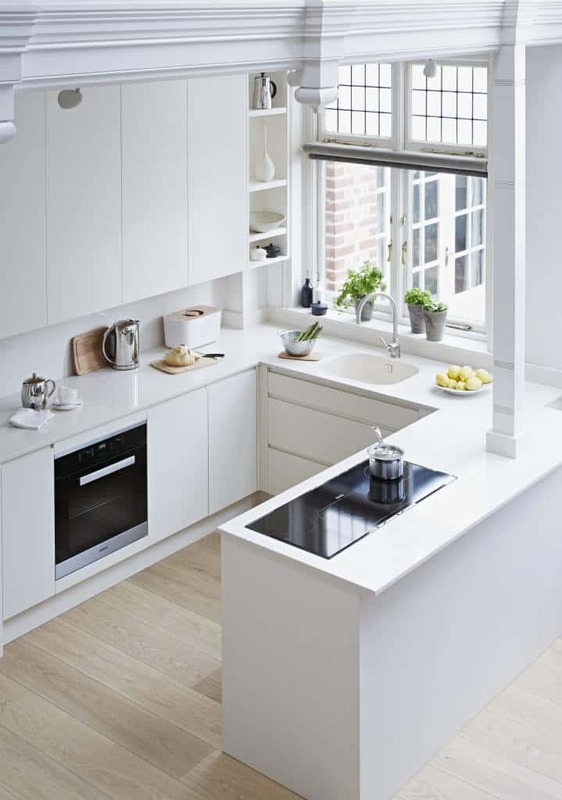 We offer five beautiful ranges of kitchen from traditional to contemporary. We have our Shaker of course, Classic, Beautiful Simplicity. 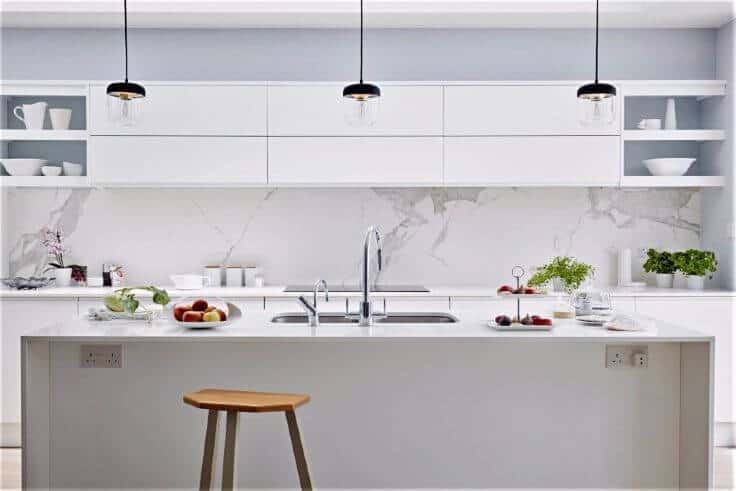 Our traditional and most recognisable Artisan, the ultra-sleek Pure handleless range and our modern Urban collection. 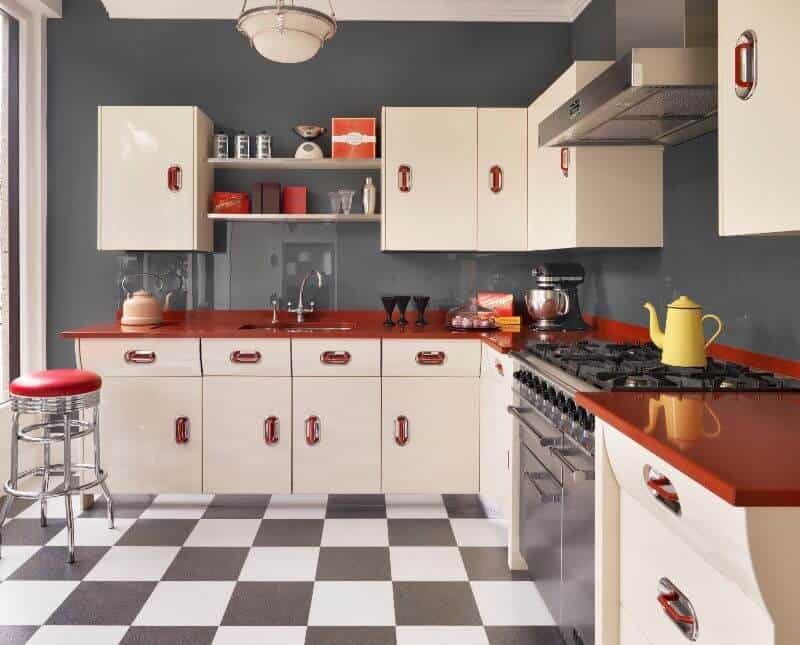 We even have a 1950’s inspired retro range. 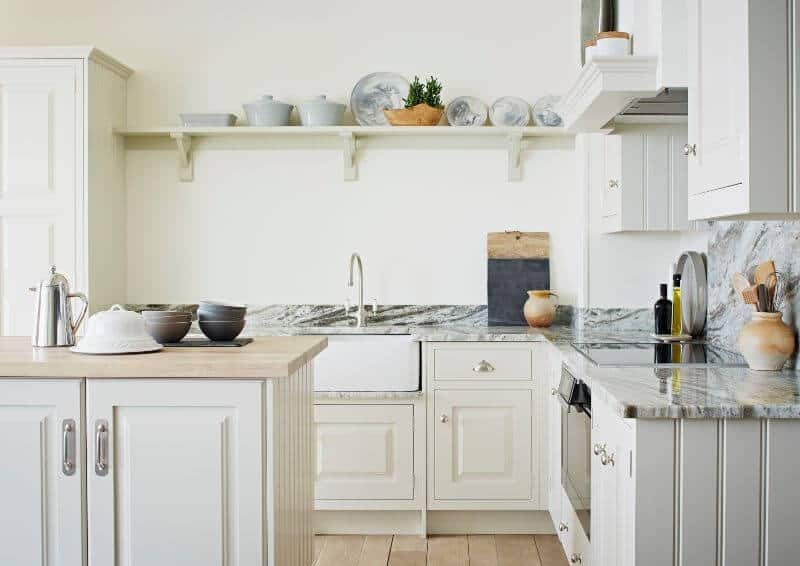 Our kitchens are timeless, something we love and we think is hugely important. 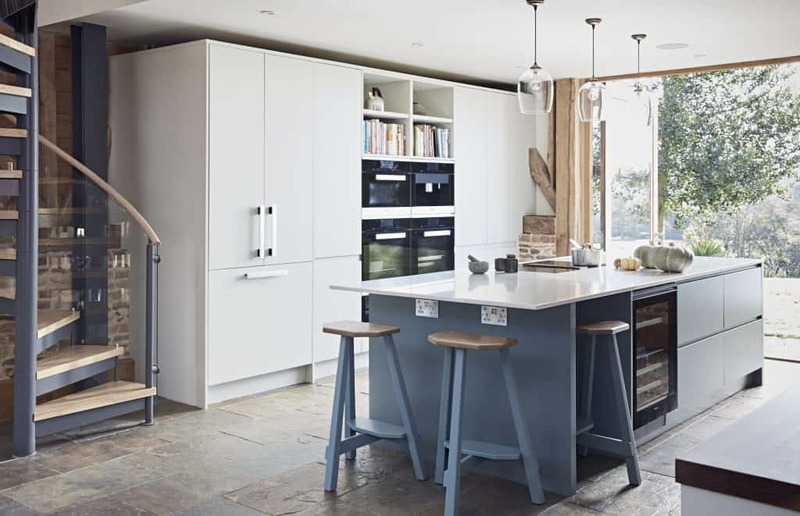 A kitchen is a big investment so choosing one that stands the test of time is a must. We have our own paint colours too. Over 80 in fact, all created in our Oxfordshire workshop, using a specialised formula. We have even been awarded the highest rating available by SATRA Technology Centre, certifying the kitchens for, severe usage – which means it can withstand the friendly, lovable attention that children bring into the kitchen! Our paint is something we have worked hard on and we are extremely proud of. Using the right designer to create your kitchen is key to success. At John Lewis of Hungerford, we have a passion for design and superb customer service. Choosing a new kitchen involves careful thought and dedicated time, which means you will be working closely with your designer. It’s important that you can establish a positive, trusting relationship and also really enjoy the process. It can be a stressful time, but you must remember to savour every moment, it’s a special time designing something that will be part of your family for many years to come. We spend the time getting to know you, so we can understand exactly how you envisage your ideal kitchen. Each of our designers has years of experience behind them, so they can interpret your likes and dislikes to design a kitchen you will be proud to show off that works for you. We offer a free design service to get you started. This is the first step in bringing your dream kitchen to life. During your initial meeting, you will get to discuss your ideas with a designer and come away with a full design and cost breakdown. This is also your chance to browse the showroom and have a closer look at our stunning kitchens. Don’t worry if you can’t make it to one of our showrooms, our designers are only a call away and we can even arrange a home visit. Simply book an appointment with your desired showroom to get started! Our kitchens are built to last. 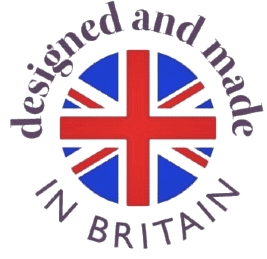 We are ‘genuine manufacturers of Great Britain’. Everything we use to make our luxury kitchens is selected with great care, sourcing only timber and material that comply with the highest forestry standards. Top quality construction is paramount to our ongoing success. 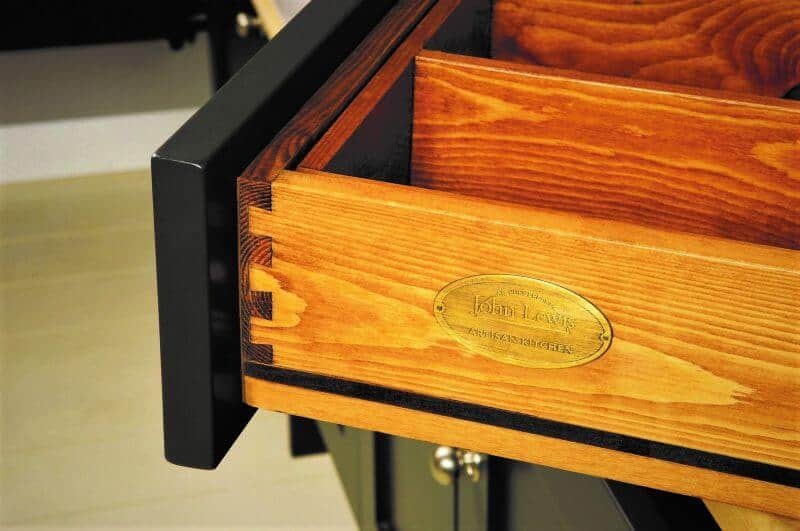 We take pride in building each cabinet with great care, using a combination of traditional and modern techniques. We select only those materials which are best suited to making each part, so that we can provide you with furniture that is built to last. We also offer a combined product and workmanship 10-year guarantee, to give you total peace of mind. A kitchen is not complete until it has been fully installed and you are 100% happy. We believe that thoughtful installation is essential to finishing your kitchen to the highest of standards. We are proud to be the first national kitchen retailer to have achieved membership to the government sanctioned British Institute of Kitchen, Bedroom and Bathroom Installers (BiKBBI). Our installers have full project capability, including gas and electrical installation, which conforms to all current legislation. 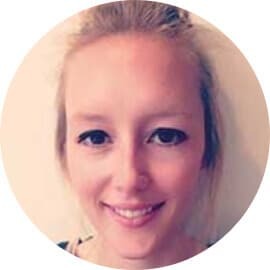 Our designers project manager the entire process, providing that additional peace of mind throughout your installation experience. From concept to completion we take care of everything, giving you a stress-free and enjoyable experience with us. We hope this has helped eased your decision-making process.